The CIDQ Annual Council of Delegates Meeting brings together officials from state and provincial interior design regulatory boards with the industry’s certification representatives, in order to continue advancing the profession while still serving to protect the public. Attendees will be updated on CIDQ’s key initiatives, exchange ideas and tools, collaborate on issues in the field and network with peers. 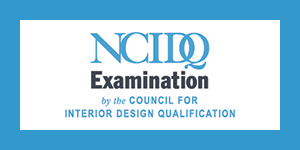 During this two-day conference, state and provincial regulatory board staff, their Delegates, and representatives from interior design professional organizations come together to discuss CIDQ, the NCIDQ Exam, and issues related to the interior design profession as a whole. Attendees will be able to learn key strategic initiatives for CIDQ, exchange ideas and tools, and collaborate and network with their peers.